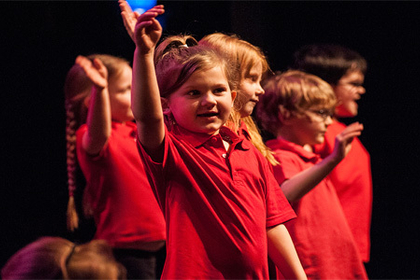 Here at Take Art we are committed to supporting creative education from 0 – 18 and beyond, bringing high quality theatre, dance, music and arts experiences to children in Early Years settings, primary, middle and secondary schools. Alongside our work in schools, we also have numerous performance and development opportunities for young dancers through our annual Spring Forward Dance Festival,Jump Start Boys Dance Group and the Somerset Youth Dance Company. We also work with young people in PRUs delivering sessions in music making and production through our long running project My Tunes, delivered in partnership with Actiontrack. Take Art continues to work with our partners; Somerset Film, Somerset Art Works and Spaeda on our creative, education partnership with schools across the county. The project, through a school’s subscription model, has engaged with teachers, practitioners, children and young people from all key stages. Fantastically over 75 schools from across the county are now involved in this creative partnership and being inspired by the offer, services and the range of project work available. Take Art offers Secondary School Drama Teachers, and non-specialist Primary Teachers and those working in Special Schools and PRUs, support to complement the delivery of drama within the curriculum. Our programme features DramaNets, termly networking and CPD training opportunities for all teachers delivering drama or using drama to meet their curriculum needs in all education settings. We also offer schools a choice of affordable professional touring performances and workshops to come into your school settings. In addition to this, every year we aim to put on performance opportunities for your students by holding Secondary and Primary School Drama Festivals. This is a chance for students to perform on a professional stage and share their work with their peers. Finally, we can help to broker stronger working relationships between Somerset theatre venues and schools, eg by offering discounted tickets to some shows. Take Art Dance provides year-round opportunities for teachers and schools to take part in inspiring and accessible dance activity and networking opportunities in Somerset. We have been the County Dance Agency since 2005 and have considerable experience working to enhance dance as a subject within schools, offering tailored support for both specialist and non specialist teachers. As part of our remit, Take Art Dance coordinate and develop dance activity across the county for children and young people, working with teachers, schools, arts venues and community groups. For teachers, Take Art Dance generates opportunities for networking and professional development, offering training, mentoring and direct support from experienced professionals. Take Art provides training and networking opportunities for Early Years practitioners and teachers and the highest quality creative experiences for the under fives and their families across all art forms. Early Years works collaboratively with colleagues and cluster groups, locally, regionally and internationally to explore and enhance young children’s creativity and wellbeing. We offer training and mentoring opportunities for artists and early years practitioners and have initiated ground-breaking research of national significance. Using the arts we want to develop the potential of all small children in Somerset to be strong and purposeful, and to encourage parents to be competent partners in their children’s play. 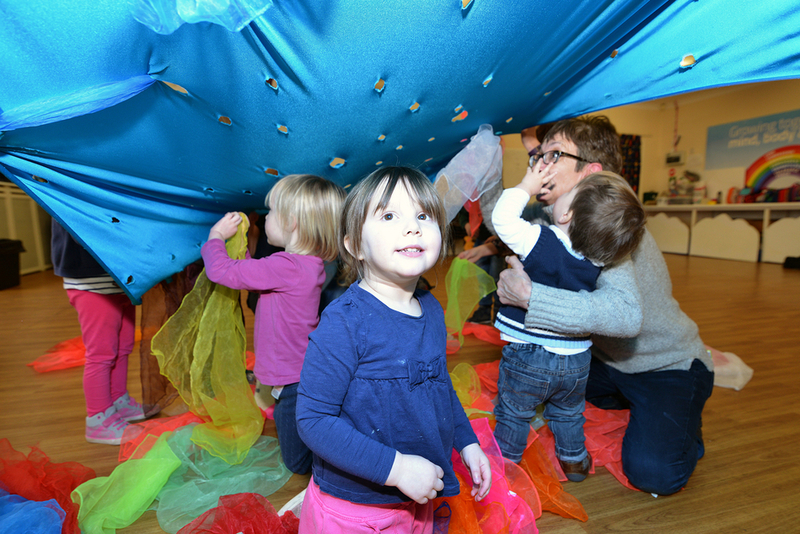 We also offer strategic support and brokering to enable funding opportunities for Somerset’s under 5s and their families to experience excellent art. DRAMA – Sarah Peterkin and Mark Helyar are Take Art's Co-Directors of Theatre (Drama). They can be contacted by email sarah@takeart.org / mark@takeart.org or phone on 01460 249450. 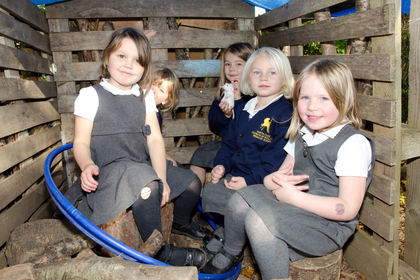 An innovative digital and creative online and offline adventure, helping the children of Taunton prepare for Big School. InspirED is a Somerset wide education project that offers exciting and unforgettable arts opportunities to schools and Early Years settings. It’s not too late to subscribe for this academic year. Please visit the main InspirED Somerset website to find out more.